If you want a car to be as clean when it’s uncovered as it was when covered, this is the fabric to use. Non-woven fibers make it almost impossible for dust to penetrate and the multi-layer construction helps prevent dings and dents. Softest against fine paint finishes and almost totally dustproof. The top two layers are polypropylene / polyethylene spunbond with a meltblown polypropylene middle layer to provide a superior barrier against dust. Soft, high-loft composite spunbond inner layer pampers and protects the vehicle’s finish. Multi-layer construction provides substantially better dust protection compared to traditional woven material. Dust Barrier - A melt-blown polypropylene layer serves as a barrier to most dust, dirt and pollution. 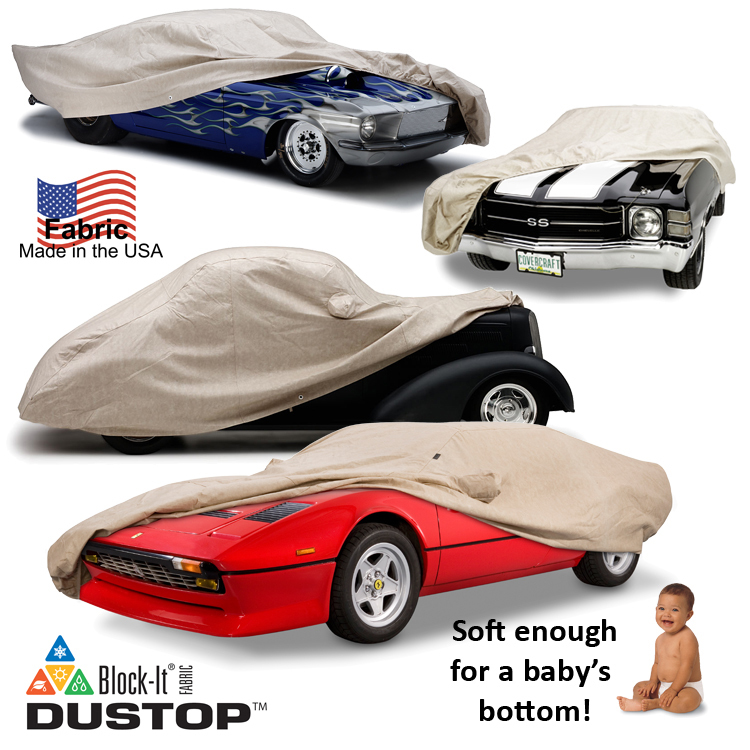 Dustop’s multi-layer construction provides substantially better dust protection when compared to traditional woven, single layer fabrics. Softest Paint Protecting Inner Layer - The high-loft polypropylene / polyethylene inner layer pampers and protects the vehicle’s finish.